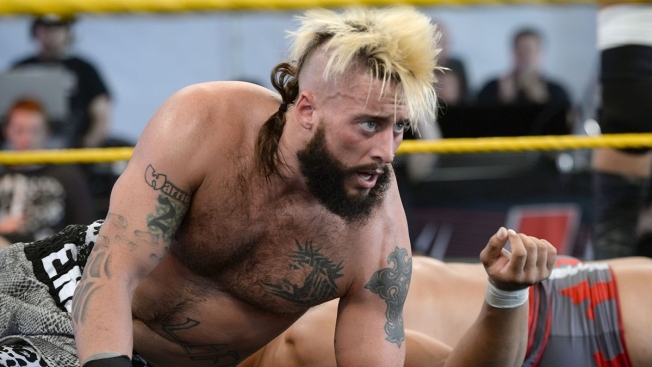 WWE Nxt wrestler Enzo Amore performs at Gibson Ranch County Park on Oct. 24, 2015 in Sacramento, California. WWE star Enzo Amore has been fired by the wrestling promotion after a woman alleged on Twitter that he raped her and police opened a sexual assault investigation. The company said in a statement that Amore, whose real name is Eric Arndt, was fired Tuesday after initially being suspended. A lawyer representing Arndt says he denies the accusations and is cooperating with authorities. WWE said in its statement suspending Arndt that it has zero tolerance for matters involving sexual harassment or sexual assault.